CooksRecipes has quality, kitchen-tested recipes for skillet veal dishes and casseroles that you can count on for successful deliciousness. 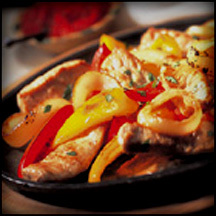 Marinated strips of veal are stir-fried with red and yellow bell pepper strips and served with warm flour tortillas, salsa and fresh cilantro. 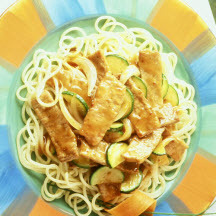 If you can't find the honey-Dijon barbecue sauce, try this recipe with teriyaki sauce. 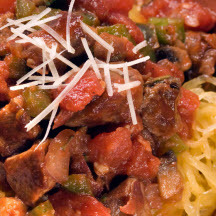 Your kids will love the uniqueness of the spaghetti squash and you'll love the healthier nutrition it provides without the added calories of pasta!